Wave Broadband Archives · Stop the Cap! Wave Broadband Offers Unlimited Gigabit Broadband for $80 in Wash., Ore., and Calif. Wave Broadband, an independent cable operator providing service in the Pacific Northwest, has announced it now offers gigabit broadband service across its three state footprint of Washington, Oregon, and northern California. Wave has been testing gigabit service in select multi-dwelling units in Seattle, Portland, and portions of greater San Francisco, but has now expanded service to all of its residential and business customers. Wave Fiber 1000: 1,000/10Mbps for $80/mo year one, $99/mo thereafter. Unlimited data included (on slower plans, it costs an extra $20/mo). In contract, Wave also offers a 100/5Mbps plan that includes a 400GB data cap for $50 a month. Doubling the cap to 800GB costs an extra $10 a month. Removing the cap entirely costs an extra $20 a month. 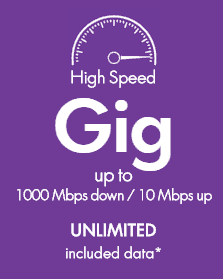 That means customers seeking an unlimited experience can spend $10 more to move from 100Mbps to 1,000Mbps service. Wave currently serves 673,000 homes in communities bypassed by Comcast, the region’s dominant cable operator. West coast Internet users, particularly those around San Francisco and Sacramento, experienced major disruptions to the Internet last evening into this morning, affecting everything from cable television and phone service to popular online destinations including Amazon.com (and websites hosted by its AWS data service), Tinder, and Netflix. The range of disruptions led to early media speculation a “coordinated attack” on the Internet was underway on the west coast, but a statement from the Sacramento field office of the Federal Bureau of Investigation this morning clarified it was investigating only a single case of alleged intentional vandalism in the San Francisco area today. The FBI suspects someone climbed down a manhole in Livermore early this morning and intentionally cut a high traffic fiber line owned by Level 3 and Zayo. This is not the first case of suspected vandalism. 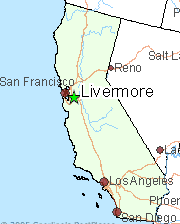 At least 10 other fiber line cuts in Fremont, Berkeley, San Jose, Alamo, and Walnut Creek have occurred in the Bay Area over the last year. The hardest hit ISP was Wave Broadband in West Sacramento, Calif. The fiber outage wiped out cable, phone and broadband service for customers across Sacramento, Rocklin, and surrounding communities including Dixon. A broader issue yesterday evening also affected customers beyond northern California. Amazon.com and websites using its AWS platform suddenly stopped responding between 5:24pm-6:10pm PT last night. But that issue was later determined to be an unrelated “route leak” from Axcelx, a data center provider in Boston. Any report of fiber vandalism concerns security experts, who suggest terrorists could target the highly visible data cables and create massive telecommunications disruptions in the United States. Fiber cables are also often readily identifiable by their bright orange insulation as well as from warning signs alerting construction crews and others to their presence underground. DownDetector clearly identifies the impact of the fiber outage affecting Wave Broadband in the Sacramento area. The FBI is asking for the public’s help in identifying the vandal in the Bay Area. In addition to this morning’s attack, anyone who may have seen anything suspicious in these earlier attacks should contact them at 415-553-7400.